The injuries are not an excuse. After announcing the latest blow to his roster — six to seven more weeks for set-up man Dellin Betances — Yankee GM Brian Cashman said that this team has not played up to its potential. Friday night, the Yankees made it just a little longer. On a rainy night in the Bronx, J.A. Happ struggled in his third straight start, and the White Sox rallied in the rain for a 9-6 win at the Stadium. The Yankees (5-8) lost their fourth straight game and their fifth to a team that finished under .500 last season. The White Sox (4-8) got two home runs from their top prospect Eloy Jimenez, the first of his career. The Yankees rallied in the sixth, with DJ LeMahieu scoring on Gio Urshela’s RBI-single. In worsening conditions, where Jose Ruiz, Jace Fry and then Nate Jones clearly could not get a good grip on the ball, Aaron Judge was hit by a pitch with two outs to load the bases. Luke Voit flew out to left field to end the threat. LeMahieu’s single drove in two runs in the first. Austin Romine singled in another and Urshela, who doubled, scored on Judge’s sacrifice fly in the second. In the fourth, Brett Gardner homered for what looked like an insurance run. The Yankees are facing huge voids in their lineup because of injuries, which have also impacted their bullpen and rotation as well. With a major-league leading 12 players on the IL, the Yankees are missing Giancarlo Stanton, Miguel Andujar, Aaron Hicks, and Didi Gregorius. Friday they added one of their hottest hitters to the IL, Gary Sanchez. That group drove in nearly half the runs the Yankees scored last season — a combined 410 RBI, just one shy of 50 percent — and hit 51 percent of the home runs the Bombers hit (137). Still, Cashman said the Yankees have the manpower to be better than their record. Happ lasted just four innings, allowing six runs on nine hits and two walks. He struck out five and gave up a home run. In three starts, he has managed to get an out in the fifth inning just once, and has given up four home runs. The Yankees have veteran lefty CC Sabathia coming off the IL to start tomorrow and Cashman is hopeful that he can be the stopper they have been lacking. “We recognize we’ve given away games we shouldn’t have, at the same time we respect the teams that have beaten us. 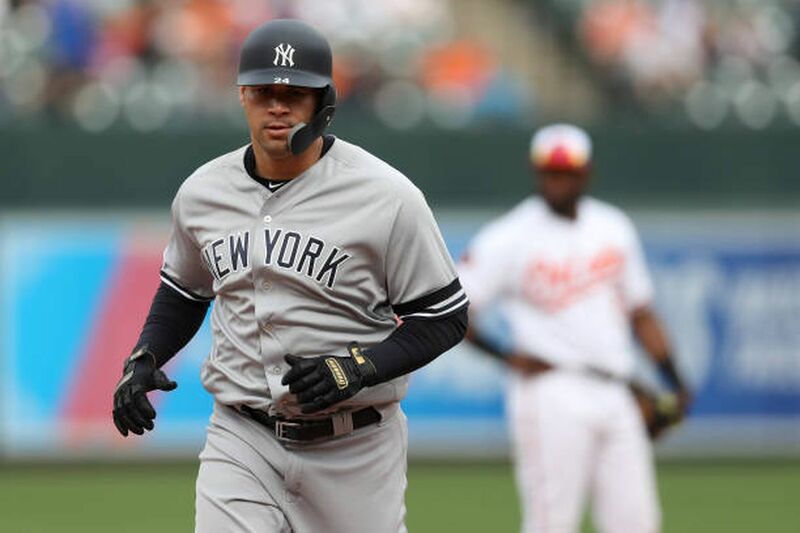 But I also think we’ve cost ourselves at times by mistakes, sloppy play or not being as good as you are possibly capable of being,” Cashman said. “Tomorrow we got CC coming off the disabled list and hopefully tomorrow’s a day we can turn it around and start climbing that small mountain we’ve put in front of us. So far this season, it has certainly humbled the Yankees.